From poodle skirts and slicked back hair, to fast cars and a faster life style, Grease isn’t just the word. Grease is the show that’ll have audiences dancing in the aisles and singing in their cars for days when it kicks off the second blockbuster Broadway musical series, Sept. 12 – Oct. 7, 2012 at the Paramount Theatre, 23 E. Galena Blvd. in downtown Aurora. The ultimate celebration of the teen years, Grease, book, music and lyrics by Jim Jacobs and Warren Casey, strikes a universal chord with its hand-jivin’ mix of schoolhouse rock, adolescent angst and vibrant physicality. Set in the hip 1950s on Chicago’s Northwest side, the whole gang has reported to class: Danny, Sandy, Frenchy, Rizzo, Kenickie and the rest of the student body at Rydell High. Nominated for 11 Tony Awards, and without question the world’s most famous movie musical, Grease boasts hit after hit: “Summer Nights,” “Beauty School Drop Out,” “Hand Jive,” “You’re the One that I Want,” and of course “Greased Lightnin’,” along with those big, glorious, action-filled dance numbers. Just wait until director Michael Unger, music director Michael Keefe and choreographer Dana Solimando combine forces with an A-list cast, a crack design team, and the Paramount Theatre Orchestra to do what Paramount does best: inject fresh, new ideas into beloved American musicals like Grease to create a sensational live theatrical experience like you’ve never seen before. So be there or be square. 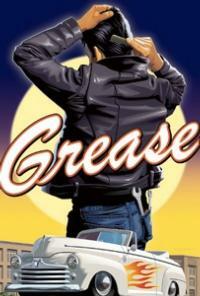 Grease begins performances Sept. 12. Press opening is Friday, Sept. 14 at 8 pm. Performance times through Oct. 7 are Wednesday at 1:30 p.m. and 7:30 p.m.; Thursday at 7:30 p.m.; Friday at 8 p.m.; Saturday at 4 p.m. and 8 p.m.; and Sunday at 1 p.m. and 5 p.m. Exceptions: No performances Wednesday and Thursday, Oct. 3 and 4. Grease is rated PG. Single tickets are $34.90-$46.90. Better yet, join the nearly 17,000 musical theater fans who have already discovered they can enjoy four awesome musicals for the price of just one show downtown by signing up for Paramount’s Buy Two Shows, Get Two Shows Free 2012-13 Broadway subscription series packages, starting at only $69.80. In addition to Grease, upcoming shows in the series include Annie (directed by Rachel Rockwell, Nov. 21-Dec. 30, 2012), The Music Man (directed by Rachel Rockwell, Jan. 16-Feb. 3, 2013) and Fiddler on the Roof (directed by Jim Corti, Mar. 6-24, 2013). For subscriptions, single tickets and information, go to ParamountAurora.com, call the Paramount box office, (630) 896-6666, or visit the box office Monday through Saturday, 10 a.m. to 6 p.m., and 2 hours prior to evening performances. Contrary to the popular movie version of Grease, characters like Danny, Rizzo and Kenickie weren’t originally written as the epitome of cool. Instead, authors Jacobs and Casey originally wrote a play called Grease Lightning with incidental music based on Jacobs’ experience at William Taft High School, populated with teenage loners, misfits, burnouts and hangers-on, all just trying to find friends like themselves. Grease Lightning debuted in 1971 in the original Kingston Mines Theatre in Chicago. With input from New York producers the play was retooled into a full-fledged musical, Grease, which opened off Broadway in 1972, won seven Tony Awards, and moved to Broadway where it played a total of 3,388 performances before closing in April 1980. In addition to countless productions and tours since in the U.S. and internationally, the 1978 movie Grease starring John Travolta and Olivia Newton-John became an instant icon of sing-a-long pop culture, one many consider the greatest musical-turned-movie ever. For its upcoming revival of Grease, Paramount has assembled yet another high-octane, A-list cast for the company’s first outing in its 2012-13 Broadway Subscription Series: Skyler Adams (Danny Zuko), Adrian Aguilar (Kenickie), Jaclyn Burch (Cha Cha DiGregorio), Courtney Crouse (Johnny Casino), Sean Effinger-Dean (Doody), John Finley (Roger), James Lee Glatz (Ensemble), Shanna Heverly (Patty Simcox), Jessica Kingsdale (Betty Rizzo), Glory Kissel (Miss Lynch), Amanda Kroiss (Ensemble), Lara Mainier (Jan), Jeffrey Max (Vince Fontaine/Teen Angel), Willie Mellina (Ensemble), Thomas Ortiz (Ensemble), Allie Parris (Ensemble), Emma Ritchie (Sandy Dumbrowski), Carly Robinson (Ensemble), Creg Sclavi (Sonny La Tierri), Glenn Snellgrose (Ensemble), Katie Spelman (Ensemble), Cory Stonebrook (Eugene Florczyk), Tiffany Trainer (Frenchy) and Darcy Wood (Marty). Michael Unger (director) has directed musicals, dramatic theater and operas in New York City, throughout the country, and internationally. Most recently he directed HMS Pinafore for Opera New Jersey and the operetta, The Duchess of Chicago, in Russia. For the past 15 years, he has been directing an acclaimed production of A Christmas Carol at the McCarter Theatre in Princeton, NJ. Other recent credits include new versions of Kander and Ebb’s The Happy Time at the Signature Theatre and The Rink starring Leslie Uggams and Janet Metz at the Cape Playhouse, as well as My Sister in This House at Deaf West in Los Angeles. He also directed the world premiere of The 25th Annual Putnam County Spelling Bee. Other directing credits include six operas at Sarasota Opera, Crimes of the Heart (Theatre Aspen), Retribution (Off-Broadway, Lambs Theatre), Noises Off (New Harmony Theatre), Meet Me In St. Louis (The MUNY); Triumph of Love and School For Wives (Weston Playhouse); Pippin, The Mikado and Kiss Me Kate (The Depot Theatre), Changes of Heart (Barrington Stage – BRAVO Award), On The Razzle (Babcock Theatre, Salt Lake City), Still (World Premiere – Chicago), Les Liaisons Dangereuses and The Game of Love and Chance (French language productions), Cries From the Mammal House (American Premiere), Cleavage and Smokes (Mark Taper Forum) and Taming of the Shrew (Complex Theatre, LA). Upcoming credits include A Christmas Carol at McCarter Theatre, the opera, Of Mice and Men, at Sarasota Opera, in addition to developing two new musical works. Also making their Paramount debuts with Grease are music director/conductor Michael Keefe and choreographer Dana Solimando. Keefe has been a part of Chicago’s music and theater scene for years, including composing, directing and playing music for First Folio Theatre for the last ten seasons, and playing keyboards for the Chicago engagements of Wicked, Hairspray, Movin’ Out, Mamma Mia and many other Broadway touring shows. Solimando’s work as a choreographer, director, performer and teacher has run the gamut. Her Broadway credits include Cats as Rumpleteazer, Swing! as the Country Swing girl and Peter Pan as Tiger Lily. She has performed in numerous national tours, regional and international productions including Jesus Christ Superstar, A Chorus Line, Grease, Sugar Babies, Gypsy, Oklahoma! and Radio City Music Hall’s Christmas Spectacular. As a director/choreographer, her awards include three LA Stage Alliance Ovation honors for Swing!, an NAACP Theatre Award nomination for Andrew Lloyd Weber’s revival of Jesus Christ Superstar and two Stage Scene LA Choreographer of the Year awards. Behind the scenes, Paramount’s production team for Grease also boasts such top-flight Chicago design talent as James Dardenne, scenic designer; Jeremy Floyd, costume designer; Jared Moore, lighting designer; Adam Rosenthal, sound designer; and Joel Lambie, properties designer. Rose Marie Packer is stage manager. In Spring 2011, Paramount turned heads by appointing Chicago stage veteran Jim Corti as the company’s first artistic director in 80 years, then self-producing its first-ever Broadway Series, presenting three-week runs of the popular musicals My Fair Lady, Joseph and the Amazing Technicolor® Dreamcoat, A Chorus Line and Hair, each featuring Chicago’s top professional directors, actors and designers. 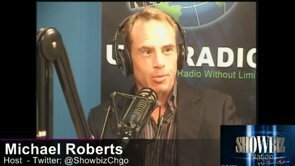 In less than a year, this new series attracted nearly 13,000 subscribers, with each production playing to rave reviews and wildly enthusiastic audiences. In addition to the 2012-13 Broadway Subscription series, Paramount will present one of the most diverse live entertainment line-ups in Chicagoland this season including The Happy Together Tour featuring Flo & Eddie, Gary Puckett and the Union Gap, The Buckinghams, The Grass Roots and Micky Dolenz from The Monkees (Aug. 24); Alison Krauss & Union Station featuring Jerry Douglas (Aug. 26); comedian Rodney Carrington (Sept. 8); The Capitol Steps (Oct. 12); Aurora’s Ballet Folklorico Quetzalcoatl (Oct. 19); The Indigo Girls (Nov. 3); Olivia Newton-John (Nov. 10); the Chicago Comedy Tour featuring WGN-TV’s Ana Belaval, Pat Tomasulo and Mike Toomey (Nov. 17, in the Copley); Happy Holidays…Broadway Style (Dec. 4); The Second City Dysfunctional Holiday Revue (Dec. 13-23, in the Copley); Under the Streetlamp (two New Year’s Eve shows, Dec. 31); William Shatner in SHATNER’S WORLD: We Just Live In It… (Jan. 4); Poi Dog Pondering (Feb. 9); Bobby Vinton (Feb. 14); Stayin’ Alive: One Night of the Bee Gees (Mar. 30); Stomp (Apr. 13 and 14); and Herman’s Hermits with Peter Noone and The Ides of March (May 18). Today, the Paramount Theatre continues to expand its artistic and institutional boundaries under the guidance of Executive Director Tim Rater, Artistic Director Jim Corti, a dedicated Board of Trustees and a devoted staff of live theater professionals. The 2012-13 Paramount Theatre season is sponsored by The Beacon News and Naperville Sun. The 2012-13 Paramount Broadway Season is sponsored by BMO Harris. Grease is sponsored by Holiday Inn. This season is partially supported by a grant from the Illinois Arts Council, a state agency. For more information, visit ParamountAurora.com.